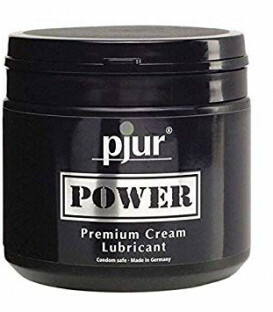 Pjur has developed a water-based lubricant that now offers a highly concentrated recipe containing caffeine - formulated to give you a stimulating effect that both activates and excites. 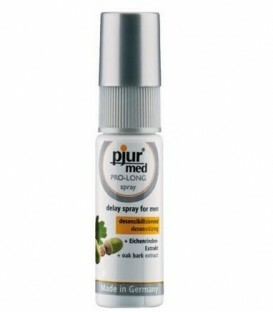 Free from odour, colour or taste, this natural lubricant features Pjur's double-effect glide where natural additives give the lubricant a lasting and heightened stimulation quality. The slight tingling sensation provides additional stimulation to your erogenous zones and an increase in sensitivity thanks to it's caffeine content. With it's thicker than normal consistency, Pjur Espresso is thin enough to apply liberally without drying out, but thick enough to be considered non-drip. Pjur Espresso is NOT a flavoured lubricant and is not designed for oral play. Thanks to it's water-based formula, this lube is safe for all adult toys and can be used as an all-over body glide.